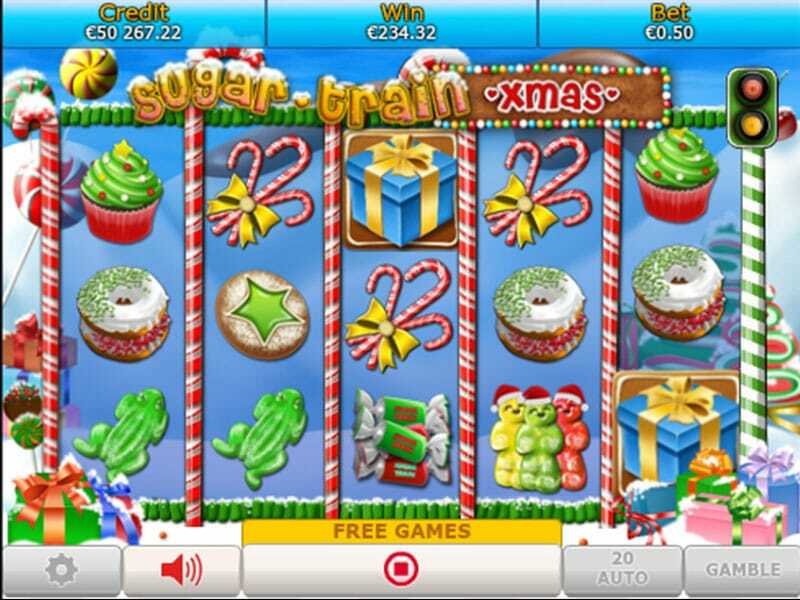 If anyone out there remembers Sugar Train Jackpot then you will be happy to know that developers Eyecon have crafted an xmas version of the same slot. The first slot in this series was a walk down sugary lane, returning players will also be happy to know that returns in the sequel also. Like its predecessor, this slot is made up of 5 reels, that is heightened by 3 rows over 25 pay-lines. Sugar Train Xmas Jackpot is similar to the Sugar Train Jackpot slot in the sense that the jackpot in this slot is un-fixed, thus making it almost a requirement to keep running these candy-coated reels in order to release the gold. You see, most slots feature fixed jackpots which is fine in the grand scheme of things. Once you’ve tried this jackpot version of this slot there will be no going back, trust us. Brisbane Australia’s own signature game developer Eyecon is known not only for its deep rooted passion for creating unforgettable online experiences, but also ways in which to also push themselves forward within an industry that has thousands upon thousands of titles. The overall design of this slot takes a rather Christmassy take on the base game. For example the reels are separated by candy canes. It is very difficult to not let your mouth water across many different spins. The symbols the player will find in this slot continue the trend of the first slot in being a variety of tasty treats. Gummy bears return as the wild symbol as well as the ability to get into the free games feature through multiple matches. Other symbols in this slot include: chocolate, doughnuts and heart shaped treats. Pay-lines can be adjusted to fit the preference of the player once again. Pay-lines can be set from as little as 1 to the maximum of 25. This is of course dependant on the preference of the player and their specific play-style. Another returning feature is the auto-play feature which allows players to run a total of 100 games without even being at the screen itself. It is worth stating that this mode can be stopped/started at anytime depending on the players personal preference. Like we’ve stated already, this is very much like the base Sugar Train slot just with an xmas theme so it might be worth playing that version first or just in general after playing this!